' Whale and Bow tie Onesies - Sisters, What! New onesies in our shop...Just in time for spring or Easter. Want to make your own? go here for full tutorial [with bow tie stencil]. 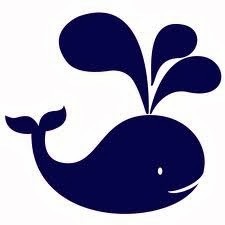 For the whale, I used a stencil from Silhouette, but the whale below is pretty similar. Don't forget to go to the shop.